There are two ways to create product pages using Cart66. Perhaps the easiest way is to simply place a product shortcode anywhere on any page or post of your WordPress site. This works great and gives you complete control over the appearance of your product pages. If you have a large number of products, you may want to create product pages using the Cart66 product post type. 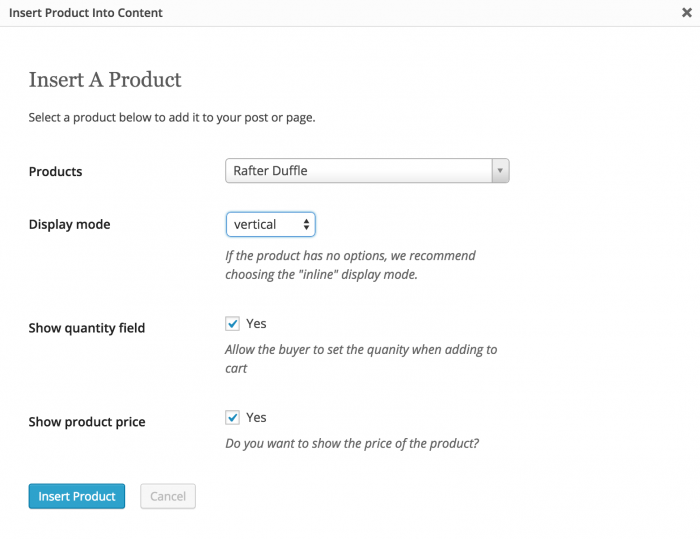 This article will cover both ways of creating product pages in Cart66. To create a product page using a shortcode simply log in to your WordPress admin and create (or edit) a page or post. Place your cursor at the location in the page editor where you want your product form to appear and click the Cart66 Product button above the editor. When you click the Cart66 Product button you will see a modal window pop up where you can select which product you want to include on the page along with a few other configuration options. Once the product shortcode is on your page, Cart66 will pull in the secure product form from your Cart66 Cloud account and display it when the page is viewed on your site. Creating your product pages with shortcodes has several advantages giving you ultimate flexibility in how your store looks. Consider spicing up your page with a video or an image gallery. Another thing you can do, if you're a bit of a coder, is create your own page template for your product pages. Using shortcodes also allows you to place multiple products together on the same page. If you have a couple related products, you can add shortcodes for each of the products on the same page. 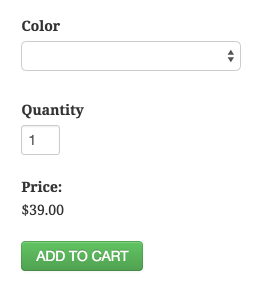 Or, if you have a long page, you can put the product form at the top of the page and the bottom of the page.